During the Fall of 2012 Scott and I travelled to Miami Beach and stayed at the Miami Beach Conference Center so Scott could attend and present (Clicker Experiments That Will Change The Way You Teach) at the Turning Technologies User Conference. One night we headed over to the best spot in town for dinner... his Aunt Sylvia's house. It doesn't get much better than a poolside dinner on a warm Miami night with a cool cocktail in hand and Celia Cruz music playing in the background. 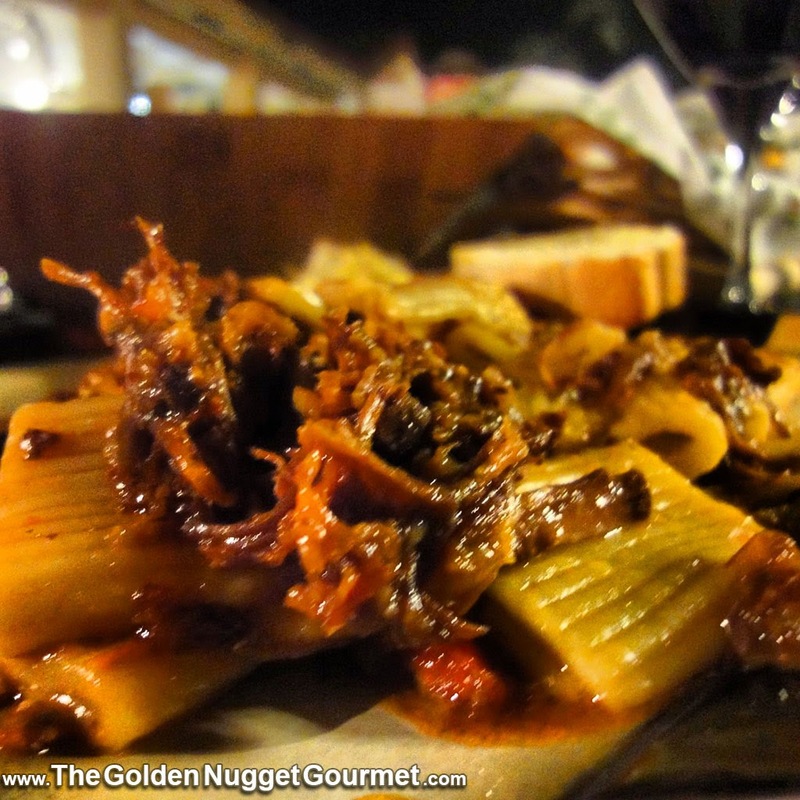 On the menu was a special oxtail pasta recipe (pictured above) to celebrate Ernesto's (Scott's step-father) birthday. I had never had ox-tail before, and to be honest I can't say the idea of oxtails was all that appealing, but OMG it was delicious. The meat was unbelievably tender and the rich sauce that melded it all together was to die for! After one bite I knew I needed to get the recipe and I guarantee you'll want it too!